Celebrating the life of James Lee Shipman Jr.
Obituary for James Lee Shipman Jr.
James Lee Shipman, Jr., age 68, of Aurora, Missouri, passed away at 1:37 a.m. on Wednesday, November 7, 2018, at the Republic Rehabilitation Center in Republic, Missouri. He was born August 24, 1950, in Pensacola, Florida, the son of the late James Lee and Norma Jean (Magness) Shipman, Sr.
Jim was a 1968 graduate of Radford High School in Honolulu, Hawaii and a 1972 graduate of Chaminade University in Honolulu, Hawaii. He was a United States Marine Corps Veteran, where he was a fighter pilot and flew F4’s. 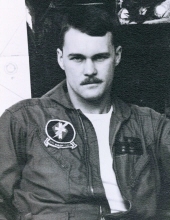 He graduated first in his class from advanced flight training and was selected to go to the honorable Top Gun. He was the owner and operator of Shipman Farms and was a member of the First Presbyterian Church in Aurora, for over 25 years, where he was an elder and served on the pastor nominating committee. On November 3, 1987, he married Patricia Ann Edmonson in Las Vegas, Nevada. Jim is survived by his wife of 31 years, Patti; five children, James Shipman III and his wife, Christiane, of Austin, Texas, Sara Kendrick and her husband, Brian, and Kathryn Shipman all of Charlotte, North Carolina, Kimberly Waldron and her husband, Dave, of Springfield, Missouri and Kristin Shipman and her fiancée, Daniel Gray, of Ft. Worth, Texas; five grandchildren, Davis, Sullivan, Blakely, Samuel and Reagan; one sister, Dianne Marchese of Laguna Niguel, California and one uncle, Sam Pick and his wife, Elizabeth, of Las Vegas, Nevada; his step-mother, June Shipman of Springfield, Missouri and one step-sister, Jill Gold of Aurora, Missouri. A funeral service under the direction of the Crafton-Cantrell Funeral Home in Aurora will be held at 11:00 a.m. on Wednesday, November 14, 2018, at the First Presbyterian Church in Aurora. A private burial will be held at a later date at the Orange Cemetery. Visitation will be held from 5:00-7:00 p.m. on Tuesday, November 13, 2018, in the funeral home chapel. Memorial donation may be made to the First Presbyterian Church of Aurora in care of the funeral home. To send flowers or a remembrance gift to the family of James Lee Shipman Jr., please visit our Tribute Store. "Email Address" would like to share the life celebration of James Lee Shipman Jr.. Click on the "link" to go to share a favorite memory or leave a condolence message for the family.